We all often suffer from the common cold, and we tend to push through the lousy symptoms and still function. Sometimes we don’t even treat our symptoms as we feel that it’s nothing to worry about or nothing serious. 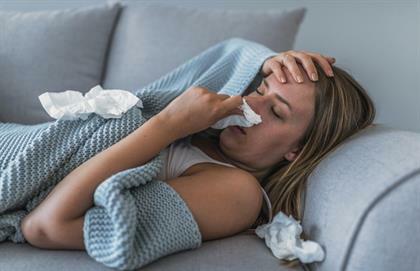 But symptoms of the common cold can have grey areas and can often be misdiagnosed, and an allergy or sinusitis can be mistaken for the common cold. The common cold usually starts with a scratchy throat, develops into congestion, then a runny nose and a cough. These symptoms usually pass within three to five days, even though a nasal drip and cough may last a bit longer. If your symptoms do last longer than five days and you still feel lousy, it’s time to see a doctor, as you might have flu or a viral infection. Here is a guide on the length of flu vs the common cold and how long you should take sick leave. Vomiting and nausea are not standard symptoms of the common cold and might signal an underlying digestive issue, or flu. It’s important to visit your doctor and treat any stomach issues as well, as they may lead to dehydration. 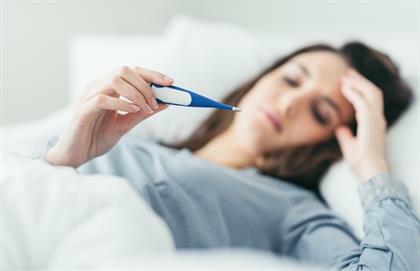 During a common cold you might feel a bit flustered and you might run a slight temperature, but a high body temperature could signal an underlying infection such as strep throat, or flu. A fever is your body’s natural reaction to an acute viral or bacterial infection. Visit your doctor for a further diagnosis and treatment and keep hydrated. A severe headache might signal sinusitis — you will feel pressure around your eyes and nose, and the headache will be worse if you bend down. In this case, you will need to take a decongestant to relieve sinusitis and monitor your symptoms to make sure that it doesn’t turn into a full-blown infection. An extreme headache accompanied with a stiff neck and high fever may be meningitis — speak to your doctor immediately if you experience this. Not sure what your headache is telling you? 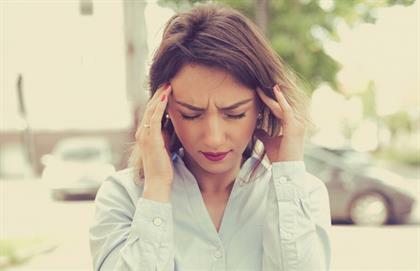 Find out if it’s a migraine or sinus headache here. The common cold may make you feel lousy, but when each joint in your body feels on fire, it’s flu. If you feel like you simply can’t function, it’s not a common cold, but the influenza virus. More mucus than usual and a stuffy nose is part and parcel of the common cold, but as soon as your mucus turns into a strange, vivid colour, this may signal an infection, especially when you run a fever as well. But quite contrary to popular belief, the yellow or green colour is not caused by bacteria — it usually signifies a response from your immune system, where your body produces more white blood cells, giving the mucus a tinge other than clear or white. A cold can cause congestion which can wreak havoc on a good night’s sleep and make you feel like you want to stick dynamite up your nostril, but if you also experience wheezing and a tight chest, you need to go to a doctor as you might be suffering from an upper respiratory infection or bronchitis. 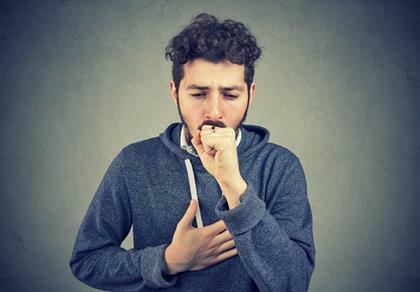 Can allergies cause coughing – or is it just a cold?